A story comes to life when it is told from the lips of the storyteller, the events of a theme unfolding can be real or imagined, depending on the style of the storyteller, in order to capture and hold the attention of his audience. The basic elements of a story such as revenge, jealousy, love or lack of love are interwoven to reveal many aspects of Irish traditional life and the great value of the story is in the passing down of beliefs, practices and customs from the past to the present. The method of storytelling varies depending on the generation of the storyteller and, referring to the following range of storytellers, the custom continues to remain an important part of Irish traditional life in Ballinskelligs. Seán Mhártain was born in Corrabhuaile, Top of Inny and came to live in Emlaghmore when he was 10 years old. He got most of his stories from his uncle Diarmuid Rua O’M’rarty who lived nearby in Meelaguleen, Seán was the “sheanchaí’ at Coláiste Mhichíl in Ballinskelligs for many years. 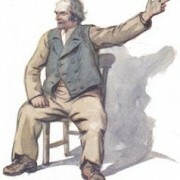 Most of Seán’s stories were very long and they were collected by Tadhg O’Murchú, the local folklore collector for the Irish Folklore Commission (Béaloideas). Dónall was born in Emlaghmore and came from a very old Iveragh family. 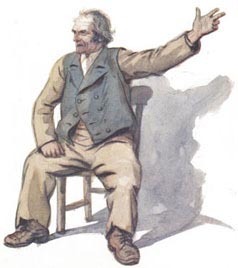 Irish was widely spoken in his youth and his family home was a renowned “Rambling House, therefore he picked up many of his stories from the storytellers who visited. Dónall competed in the Oireachtas and Feis Iveragh as well as being “sheanchaí’ for Coláiste Mhichíl in Ballinskelligs. Micheál was born in Ballinskelligs in May 1906 and lived all his life in Ballinskelligs apart from a brief period in the USA in the thirties. However in addition to being a storyteller he was also a poet, painter folklorist and fisherman during his long life and left a rich legacy of his knowledge to the Ballinskelligs and international community. His published books include “Skelligside’, “Skelligs Calling’ and “Skellig Sunset’; they reflect the authentic expressions of a Gaelic tradition in Ballinskelligs. Sean was born in Libes, and continues the tradition of our ancestors as the current “sheanchaí’ in Ballinskelligs. Seán got many of his stories from his grand uncle Mike Goggin. Frequent visitors to his home that influenced him and gave him the benefit of their knowledge and stories were Con Tadhg Eoghan Sullivan, Florrie Sullivan, Dan Sullivan and Jack Day. Seán featured his storytelling in the programme “Limelight’ on RTE in addition to contributions for Radio Kerry. Like his predecessors, he is available as “sheanchaí’ for Coláiste Mhichíl.